If sisters Rachel and Becky Unthank (yes, that is their real surname) told us the inspiration for The Unthanks‘s fourth album, Last, was a young girl living in dreary ol’ London, we wouldn’t be surprised. The album demonstrates with quiet simplicity that a soundtrack to the life of an ingenue living in 19th century England can be both modern and relatable to folks in 21st century America. The folk band from the North East of England combines simple musical arrangements with hauntingly beautiful vocals telling stories of loneliness (“Last”), sacrifice (“Queen of Hearts”) and tragedy (“Close the Coalhouse Door”). The band’s gift for storytelling is not just in the songwriting, but primarily in its ability to elicit specific emotions and images through each word Rachel sings. Newsflash, if you feel emotionally hollow while listening to Last you are probably dead. 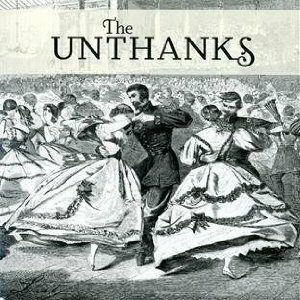 The band covers King Crimson’s dark and sinister “Starless,” but rather than being overtly ominous, The Unthanks’s revamped version evokes only a fraction of the doom-and-gloom as the original through the richness of the horns, strings and piano. The old-timey phrasing in the more traditional folk songs provides some levity and keeps you asking yourself, “what did she just say?” Through their nostalgic and otherworldly sound, The Unthanks remind us that our cold wretched hearts are still beating.